Every day around 1,200 tons of household waste is buried in the Hassif Bounif landfill in Oran. 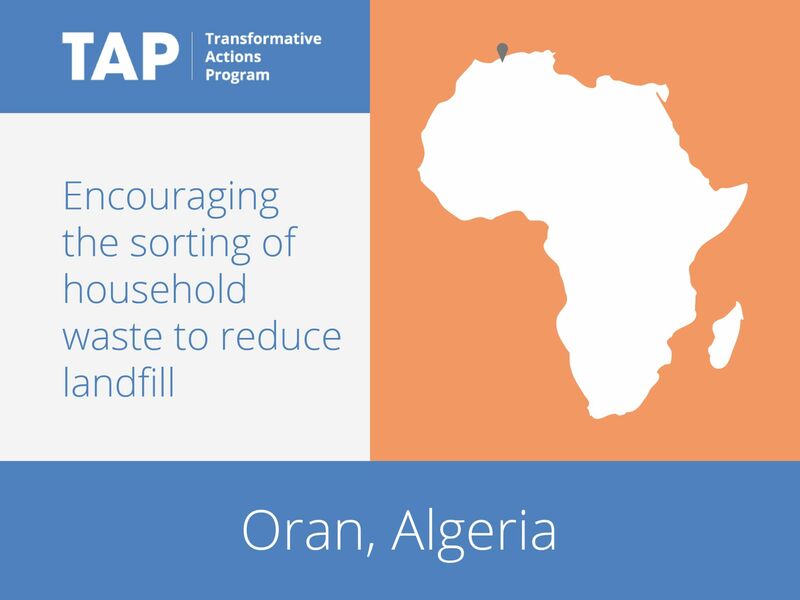 Beginning with two pilot neighborhoods, Oran is implementing a project to promote the sorting of household waste at source to reduce the amount of waste sent to landfill. In the pilot neighborhoods, two types of bins for dry recycling and organic waste were provided, offering a simple process to increase compliance. The city also installed the first sorting line of dry recyclable waste at the landfill. This initiative will create jobs, reduce methane emissions and air pollution, and serve as an example for the Algerian, African and Mediterranean region.